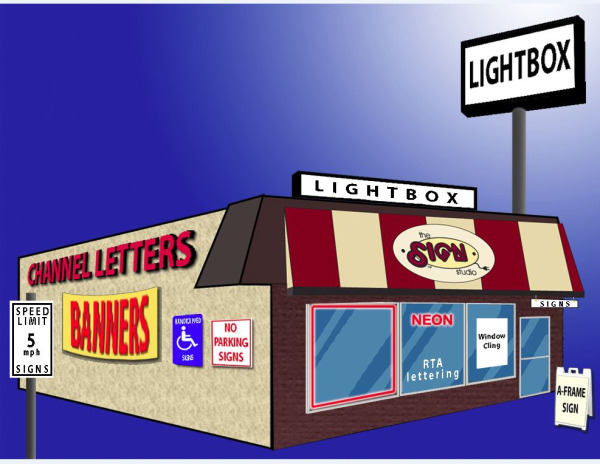 Signs generate huge profits for your business. They are everywhere you look. There are times when signs are very noticeable and times when they seem to fade into the scenery. This usually happens when they are designed by people lacking the skill to make them stand out. Bill, Chris and Julie of The Sign studio have the experience of expert sign designers, making your brand a stand out priority. Your sign that gets little attention can become a constant reminder to the public of your product. When the need for a product arises, there is a name that relates close to an advertising sign, generating huge profits for business. Signs shout or quietly state the case of business. They are used as reminders, announcers or marketers of a million products. Many businesses do not get the most from a sign, leaving it with poor coloring and outdated graphic designs. Julie, Bill and Chris have the experience to help you get the most out of your sign advertising. Use this media to inform the public about your business. A business with a sign on the property or close to its location should get the full value of the sign. Tell the world about your product and your address. Use this sign as an opportunity to market your business. Sell your brand, give people a reason to know who you are. We can help you do this by using the latest high tech computerized software that gives your sign the best effect for your business. We are a sign company in the Los Angeles area working to build a sign that fits the client and their product, aiding them in their goal to create brand recognition. We create banners, menu boards, banners and state of the art graphics suited for your business. Smart advertising includes the use of signs with other forms of advertising. Whether you use radio, television or computer generated ads, nothing ties your ad program to the memory of the public like sign advertising. A sign is a memory game and the product you want remembered is yours. Attract customers with your sign. In business since 2004 Bill Bates is ready to project your business into a main forum with expert sign advertising. Get a window graphic that constantly reminds customers of the presence of your business. Join the thousands of businesses that are household words because of signs. Major brands have signs to thank for their success. The first thing people think of is the sign that represents the product; this can be your business. Brand your business by using signs. Entertainment venues spend thousands of dollars on commercials and computer promotions, prompting people to visit concerts, movies and shows. Nevertheless; they still use the marquee outside the building; a sign. People watch to see what venues are visiting a city. Signs have not lost their power to promote and those knowledgeable enough to manage this resource will improve the customer’s ability to remember the product and purchase it over other products. Tokyo, known as the shopping capital of the world, filled with signs. Vegas strip; lined with signs and when people visit or look at pictures, they remember the signs. If you have any questions, please call The Sign Studio @ (818) 843-9200 or send us an e-mail at Info@SignStudioLA.com OR - Send me a QUOTE. The old saying about people not knowing what is for sale unless it is advertised is still very appropriate. That old adage was referring to billboards, however, the windows you have fronting your store is almost billboard sized and the message can be changed just as often to reflect your seasonal or special offers. It can also be a standard part of your branding that stays. 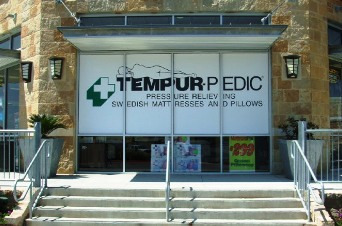 Window Graphics are a great way to get that message across to everyone who walks by. This is valuable advertising space in a mall or shopping center whether inside or out. That message; that special offering; that announcement can be in front of people and that will definitely get you noticed. Vinyl Graphics is the perfect fit for this as there are so many options available for die cut signage, full coverage and even the popular Printed Graphic Advertising that attracts the right attention. Size and layout of window glass as charges are by the square foot and time involved. Colors or tones of the surrounding facade for appropriate complimenting or contrasting color themes for the signage. Whether the graphics should be die-cut lettering or full coverage. 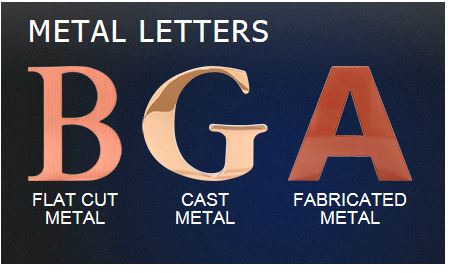 Style of type and relative fonts. 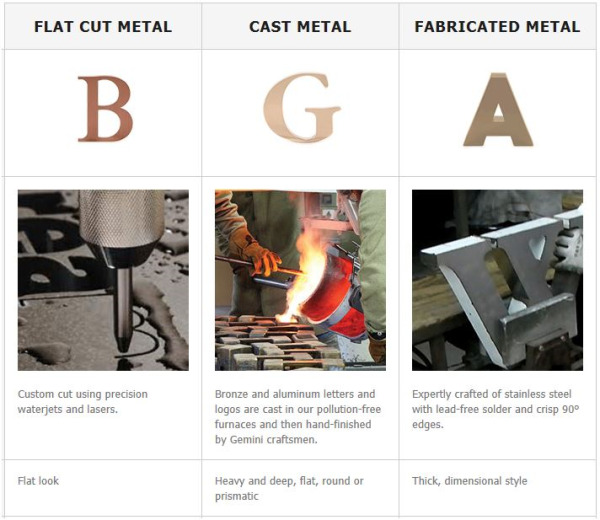 Logos, special characters and brand specific images. One of the great things about Window Graphics is that just about anything is possible. 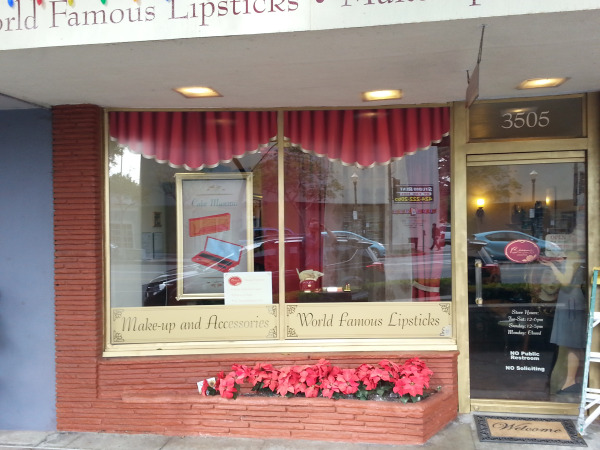 We have been creating excitement on windows for more than 30 years in the Los Angeles area. Many of our satisfied clients have opted for the Printed Graphic Advertising that has to be seen to be appreciated. With this process, your images, as well as your branding, is displayed with an eye toward presenting the best you have to offer to your clients through the best we have to offer. Vinyl Graphics, regardless of which type is wanted, has the ability to make your message come alive. With any application, you will get the attention you need and the traffic your firm deserves. 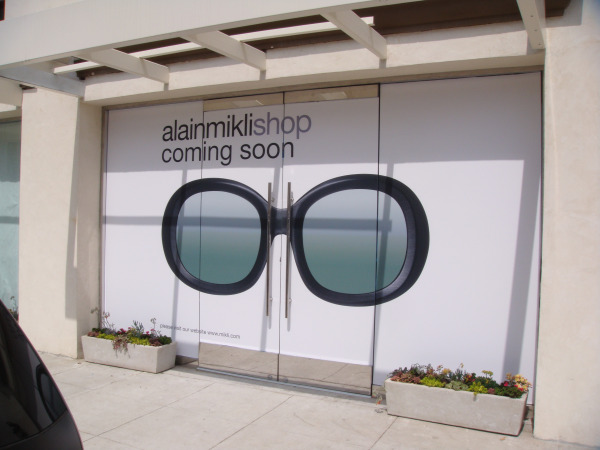 One of the most popular Vinyl Graphics is the perforated vinyl window film. This makes an easy to read message come alive, on the outside and, from the inside, it appears as if there is nothing on the window. This full color Printed Graphic Advertising allows for the full view to be seen and appreciated while still making sure everyone can see what you have to offer.